The Price of Hubris | What Would The Founders Think? Neither leftists nor the media (but I repeat myself) hesitate to throw the racist/bigot stone at anyone who sets off their radar-like sensitivities. However, when it comes to this president, the system shuts down. So let’s look at some examples, but with a slightly altered cast. What if a Caucasian Republican president treated a duly elected black Prime Minister of an allied democratic nation rudely; displayed an un-presidential animus toward that individual; refused to meet with him; threatened him with UN action; and allowed (prompted?) administration spokespersons to speak of the PM disparagingly. Suppose he also shared his disdain for the PM with another world leader when he thought his microphone was off. Is there any doubt that the media would dig up that association and trumpet it and its implications? Jesse Jackson and other black leaders would be howling so loudly they wouldn’t need the microphones eagerly provided by the media. No need to carry the list of “what ifs” any further. Let’s return to what is: President Barak Obama’s obnoxious behavior toward Israeli Prime Minister Benjamin Netanyahu. Add to all of the above Obama’s determination to make a deal with Iran, an avowed enemy of Israel, that would permit it to develop nuclear weapons. The latest expression of Iran’s intent to destroy Israel occurred as recently as March of this year during negotiations with Secretary of State John Kerry. Iran’s leaders have apparently determined they have nothing to fear from Obama and the United States. This is not to imply that Obama’s purpose is Israel’s destruction. …. Israel stands in the way of what the president hopes might be his crowning foreign-policy achievement: a new order in the Middle East represented by a new entente with Iran. Netanyahu’s testimony on behalf of his country and his people is this: A nuclear Iran will possess the means to visit a second Holocaust on the Jews in a single day. His testimony on behalf of everyone else is this: A nuclear Iran will set off an arms race in the Middle East that will threaten world order, the world’s financial stability, and the lives of untold millions. Simply put, Obama finds the witness Israel is bearing to the threat posed by Iran unbearable. What is paramount to Obama is his legacy. As his foreign-policy spokesman, Ben Rhodes, said: “This is probably the biggest thing President Obama will do in his second term on foreign policy. This is health care for us, just to put it in context.” And, like health care, the American people would have had to wait for the agreement to be signed before they could find out what was in it. Obama’s intention was to by-pass Congress and ignore Article II, Section 2, Clause 2 of the United States Constitution.2 But for a bi-partisan bill requiring some congressional oversight, he would have succeeded. Obama has absolute faith in the power of diplomacy to transform Iran into “a responsible member of the international community,” in Susan Rice’s words. So, despite Iran’s history of non-compliance with former agreements, its record as a state sponsor of terrorism and the advice of experts, Obama is so sure of his infallibility that he willing to stake Israel’s survival and US security on it. 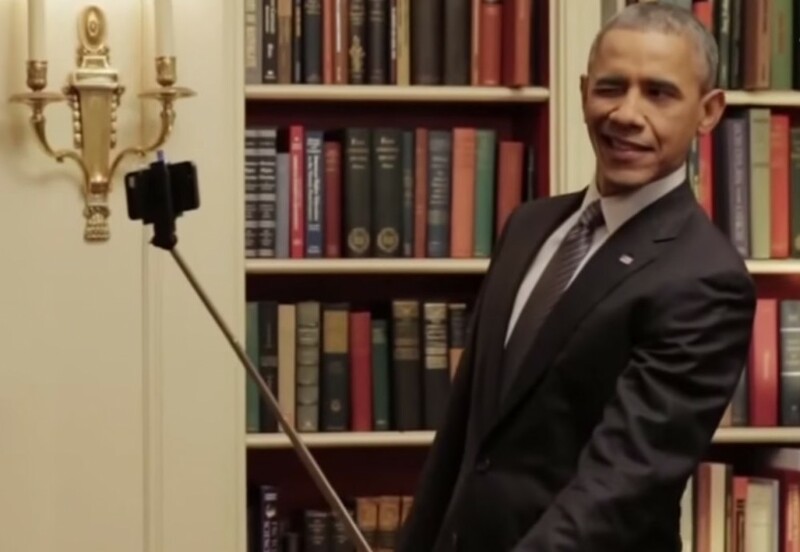 What else should be expected of a president with such a penchant for “selfies” who wrote two biographies by age 45. Narcissistic doesn’t begin to describe the man. Rev. Jeremiah Wright bestowed a Lifetime Achievement Award to radical Nation of Islam leader Louis Farrakhan, an outspoken anti-Semite. Farrakhan has singled out Jews for vituperation, spoken of Jewish conspiracies and generally reviled Jews in a manner that brings Hitler to mind. In 1995 Obama apparently thought favorably enough of Farrakhan to join his march on Washington, D.C.
Foreign Policy – What Foreign Policy? The article that I totally agreed with sounded like the words of Marcia, so I went back and sure enough it was. Good for you! About time someone posted this important story. Thank you, Ann. While the scandals about this administration proliferate, the even greater disgrace is that the media does its best to ignore or, at best, equivocate about them. The Arrogance of this man is off the charts. Self-aggrandizement has corrupted any moral compass he might have had. Your article is right on time. I appreciate your comment. Even the dictionary does not have enough words to covey the essence of BHO. Arrogance, conceit, egotism, hubris, pomposity all seem inadequate to describe his behavior. And I would like to add, his arrogance, revenge motives, greed, inordinate ambition and power lust – pits group against group, nation against nation, ultimately unleashing violence of war with all its attendant suffering. Thank you for accepting my comment. I will submit more comments in the future. All excellent points. We look forward to your comments.